I'm with you on this one. No Oswalt, please. We don't need another fading ace with a fading fastball. 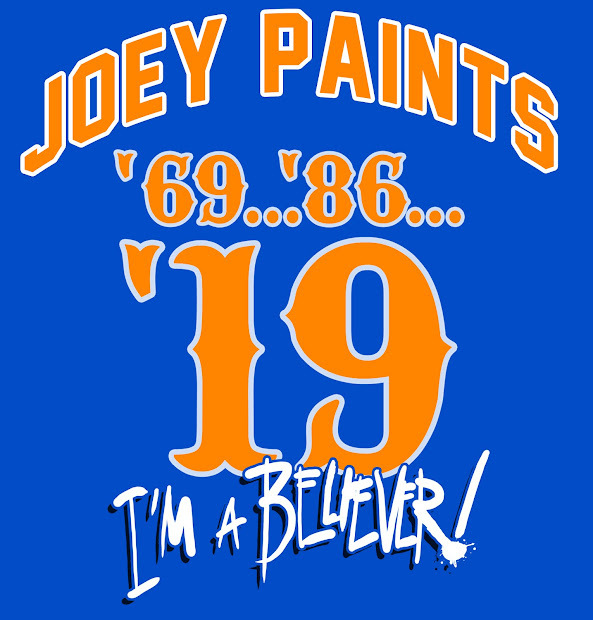 Thing is, 36 will always belong to another lefty, Jerry Koosman!!! I agree about the "36". It will always be Koosman to me also. I'm with you all the way on this one too Joe, love all your illustrations, thanks for posting them! Joe - Loving the look of yesterday's Francoeur art and this page as well. I love the diversity of styles that you've employed in the journal, and I especially dig this look! Wow! What can I say that hasn't been said already by the many followers except to say once again Joe Thanks for sharing these with us. Cliff Lee? I'll take him! What would we have to give up for him? 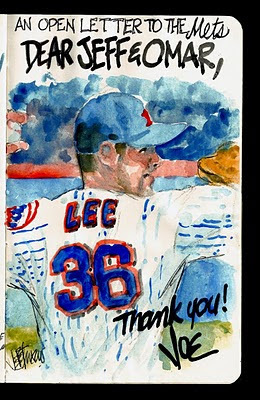 I agree on the number 36 always belonging to Jerry Koosman (who used to live across the street from my parents during baseball season). Does anyone know what he's doing these days? I just used 36 because that's his number on Seattle. I love Jerry! But as we can see, The Mets give cherished numbers to anyone. 21,20...etc. Wow on changing the banner because of what a commenter said. Respect to you, Joe. I kid. I kid. Good stuff! PS: I love how it's a little notebook. Makes it all the more homier!